Should you choose metal or Invisalign braces? It’s a common problem and there are no specific answers because everything depends on your needs, preferences and other factors. Each alternative has its advantages and disadvantages. So, let’s consider them in order to make your choice easier. How to choose the best braces? Braces are ideal if you need to fix complicated dental issues. Even despite the fact that you may be forced to use them for several years, each professional dentist in NYC will recommend wearing braces without hesitation. Before making your choice, you should understand the difference between Invisalign braces vs metal braces. The main benefit of metal braces is quite clear: it can fix any complicated situation, including a different height of your teeth. However, you should understand also the disadvantages, which are tightly bound with the abovementioned benefit. Metal braces attract the attention of other people because it’s impossible to hide them. These braces can also irritate your mouth and it’s significantly more difficult to brush teeth. In addition, don’t forget that you will be forced to limit the assortment of products which you can consume. Important! These braces are permanent. You have to use them during the whole period of fixing. On the other hand, you can choose Invisalign. These computer-generated braces for your teeth are made of clear trays and they are almost invisible, that’s why you should not worry about the quality of your smile. You can communicate with other people and smile confidently because people will not understand that you are wearing braces. Moreover, Invisalign braces give you a possibility to eat whatever you want. For example, you can chew gum, eat specific types of candies, popcorn etc. They are removable and easy to clean. It’s also a very important advantage that you almost don’t feel these braces in your mouth because they are smooth, while metal braces are extremely uncomfortable. Therefore, it’s not a problem to choose braces, which matches your needs if you really know how to set up priorities. Just consider all the pros and cons of both braces again and make your first step on the way to the desired Hollywood smile. In your mouth, there live 20,000 million bacteria and every day that passes without brushing your teeth. Diet is more important than brushing to prevent tooth decay. According to some restorative dentistry specialists, the diet plays a much important role than the brushing of the teeth in the prevention of tooth decay. Every day, brushing the teeth is crucial. It is much essential and prevents pyorrhea, but the diet factor is key, according to dentist in Seattle. But, what will you do if you have teeth problems? 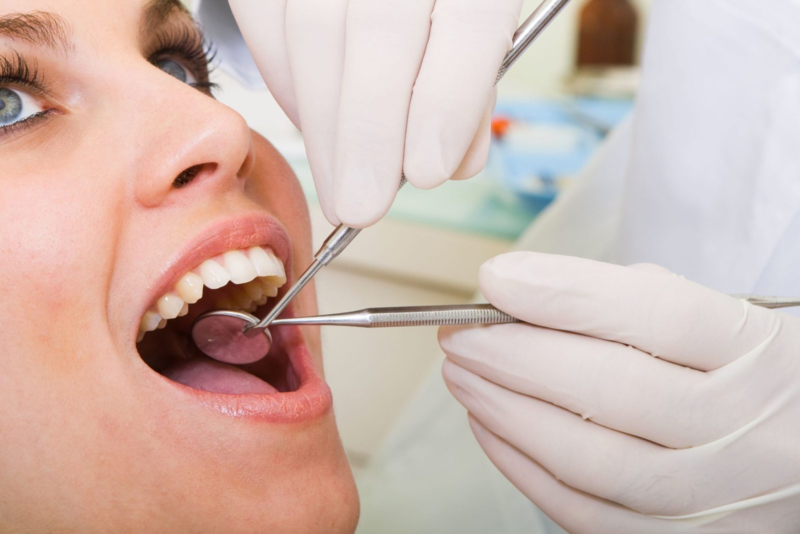 The first key is to go visit the professional dentists near you in Hackensack, NJ. If you have not eaten or drunk for a while, your mouth is essentially “at rest” and your teeth are safe. But right after eating it becomes acidic, creating an environment in which your teeth begin to dissolve. It takes about 40 minutes for the mouth to return to its safe levels of acidity. When it comes to cavities, cavities, and holes in the teeth, the key is to visit the nearest dentist immediately. So the more you peck between meals, the more periods of acidity there will be in your mouth. The frequency of exposure to sugar is the key to the development of caries. There are sugars hidden in foods that you would never expect. It is better to eat an orange than to drink a bottled orange juice. Milk is another food that can betray, particularly in children – although its calcium content makes it advisable for teeth, it also contains sugar.Some children fall asleep with the bottle in their mouths or do not brush their teeth after drinking milk and this also contributes to the formation of cavities. So when is it better to brush your teeth? According to the specialist in dentistry, it is very difficult to do well because most learn by looking at their mother and tend to repeat what they see and grasp habits from a very young age. That is why most people leave some parts of the tooth surface un-brushed. That’s partly because you brush them in a random way. Do not get involved in impasto, endodontic and anesthesia. The first visit may be a review or a clean-up, and you can take advantage of it as a way to get to know your dentist a little more in a completely anxiety-free visit. When you feel more comfortable you can proceed to make more complicated treatments. You can agree with your dentist on a specific signal to indicate that you need a break and you want it to stop. For most people, keeping your teeth until your old age is a strong desire. Many people have anxiety dreams about losing their teeth, and certainly wouldn’t look for any reason to lose them on purpose. However, in South Africa, you can find a fair number of people who have their front teeth removed. Yes, you heard it, they remove their teeth on purpose, and it’s not rotten teeth, it’s healthy teeth. Tooth removal have strong roots throughout history and in many cultures so let’s take a look at how this came to be the “hip thing” in this specific South African community. While it’s not unusual to have cosmetic procedures done to teeth, from gold fillings and grills to porcelain veneers, purposefully removing teeth is slightly less common, to say the least. So what is the passion gap happen and where did it start? The passion gap, as it’s known – sometimes called the *Cape Flats smile – is when the front incisors are removed to leave a gap. The origins of this procedure aren’t exactly clear, but many people have looked into it. The University of Cape Town polled over two thousand residents of the city and found that 41% of them had extracted their teeth. Of these, 42.6% said they did so due to peer pressure, while 36.3% said that they did it to be fashionable. 11% did it for a medical reason or because of an accident, and 10.1% due to gang influence. Gangs are a very big part of the Cape Flat “culture” unfortunately and the area is plagued with brutal sexual and physical violence and has long been speculated that the passion gap has a very unfortunate sexual aspect to it. Thus the name “Passion Gap”. Although this is a chicken egg situation as we don’t know what came first, the passion gap or the plaguing gang violence. Another interesting thing about the passion gap is that it is not gender or age based. There is a mix of men, woman and children, although the children is usually influenced by the parents, but in general the only thing the passion gappers have in common is a low income. Which brings some people to the conclusion that it started as a precautionary measure and then became a trend. While it’s difficult to pin down the actual origins of the passion gap, there is evidence of tooth modification going back to around 500AD. So, although the passion gap itself might be newer, cosmetic changes to teeth certainly aren’t. But if any of these people want their teeth to grow back, they would be better off choosing to play powerball and hoping for a win. The Cape Flats is a big part of Cape Town which is the most Southern Capital of South Africa. It is surrounded by mountainous areas and this are is flat; thus the name. It is a lower income area with many shanty towns and a melting pot of cultures. Most of us know that daily brushing and flossing can help keep our teeth bright and healthy. Many of us make regular visits to the dentist for checkups and cleanings, too. These steps are a great strategy for oral health care, yet there is one small step that we sometimes overlook: rinsing our toothbrushes. Do you rinse your toothbrush after every use? If you don’t, here’s a look at why rinsing your toothbrush supports a healthy mouth for a lifetime of beautiful smiles. Your toothbrush is a durable instrument designed to remove food particles and plaque from the teeth. Taking care of it is simple, too – all you have to do is rinse it out after each use. Dentists recommend rinsing the brush in warm water to flush away toothpaste, food particles, and bacteria. Gently rub the bristles with your fingers to help clean it out. Accumulated gunk at the base of the bristles not only looks and tastes gross, but this accumulation can actually impede the flexible nature of the bristles. To be most effective at reaching the spaces between the teeth and at the gum line, those bristles have to be able to flex. A quick rinse takes care of your brush, getting it ready for the next use. While some people prefer to sanitize their brushes in hot water or in an anti-bacterial solution, the American Dental Association (ADA) states that this extra step isn’t necessary. Air-drying the brush between uses is sufficient to keep bacteria at bay. Don’t cover the bristles between uses – this can cause bacteria and molds to grow on the brush. Air-drying is preferred. Don’t share your toothbrush with others – this helps to minimize the spread of illnesses. Change your toothbrush every three to four months – and it’s a good idea to change it more frequently if the bristles become frayed or bent. Throw away your old toothbrush and get a new one after an illness – while retransmission of illness-causing viruses and bacteria is rare, this is a good practice to remember after you’re feeling better. Finally, for great oral health and a bright, sparkling smile, visit your family dentist regularly. Brushing and flossing go a long way toward preserving our teeth, but routine dentist checkups and cleanings are the key to keeping our mouths as healthy as possible. Dentists can spot problem areas before they cause more serious conditions. Schedule an appointment today for you and for your family, and enjoy a healthy mouth for life! General Dentist Dr. Patrick Williams Sheds Light on Dental Crowns and Bridges: What Are They and How Long Does It Take? As we get older, so do our teeth. Decay, trauma, fillings, or even the way we chew can make our teeth wear down. You may need a crown or a bridge to rectify this situation. Dental crowns are placed over a weakened tooth to help the tooth from breaking or wearing down even more. Crowns are also used to restore stained or misshaped teeth as well as to shelter a tooth that has had a root canal. A bridge is placed in your mouth to substitute a missing tooth. It is fixed or cemented on the foundation tooth, and in some cases, implants are placed next to a missing tooth. Bridges enhance your chewing ability and are a tremendous cosmetic advantage. It’s important to note though that a crown or bridge may not last forever. It may need to be replaced if it has become faulty or worn down. The lifespan of your crown or bridge is based upon the resources used to create it, how well you maintain your oral hygiene, the food and drinks you consume, as well as the condition of the surrounding teeth and gums. It is imperative that you continue to floss and brush your teeth properly. If you need a crown or a bridge, it will likely take a few visits to your dentist to complete this treatment. For your first visit, the doctor will numb the area around the tooth to help with any discomfort. Then your dentist will use a dental instrument to form and prep the tooth. Sometimes an additional procedure may need to be completed to ensure a good fit for the bridge or crown. This procedure is called a buildup. A mold of the tooth will be taken, and a temporary crown or bridge placed to guard the prepped tooth. The mold will be sent to a dental laboratory where a customized bridge or crown will be made just for you. Once the dental office receives your crown or bridge from the lab, if you are satisfied with the shape, color, and fit, it will be permanently cemented on your second visit. If the bridge or crown received from the laboratory does not fit as well as you would like, another mold will be taken and sent to the lab for another crown or bridge to ensure a proper fit. Sometimes the crown or bridge may feel too high when you bite down. If you feel some discomfort, reach out to your dentist to have your crown or bridge adjusted.